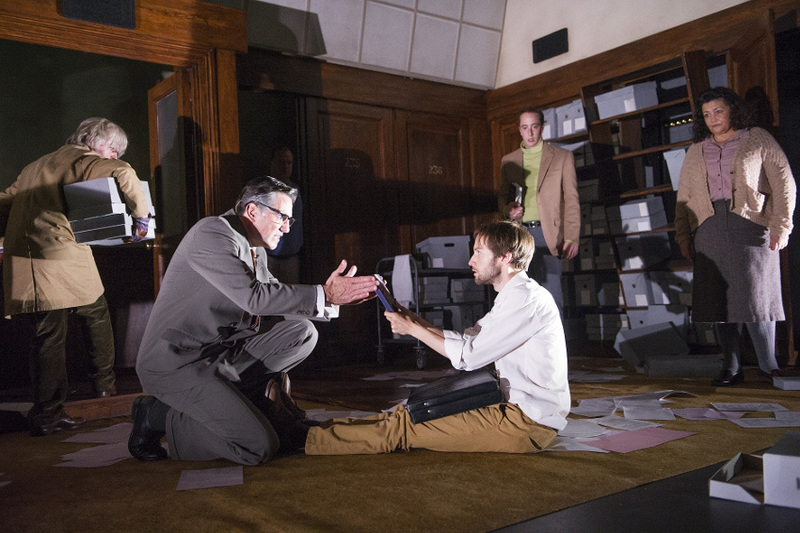 If you want to be a pedant, then the Almeida’s production of Robert Icke and Duncan Macmillan’s staging of Orwell’s classic dystopian novel is actually misconceived from the outset. The man formerly known as Eric Arthur Blair never wrote 1984; instead, his grim tale was published as Nineteen Eighty-Four. 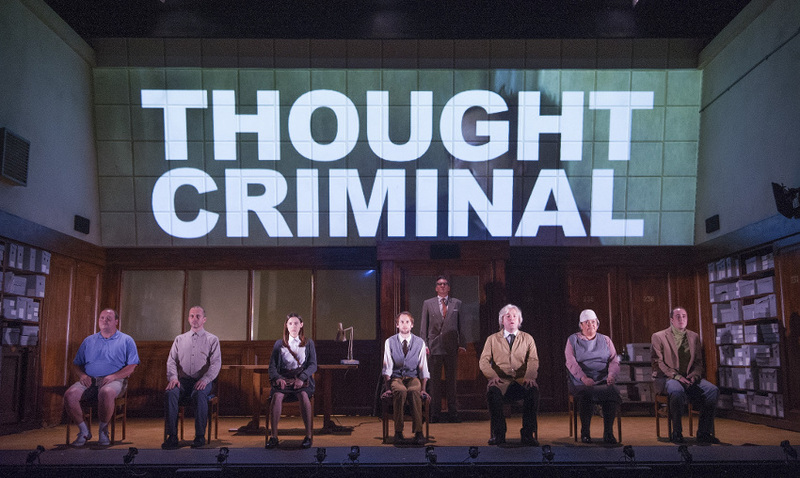 However, there is every chance that Icke and Macmillan are fully aware of this, as their bold and visionary staging, in association with Headlong and Northampton Playhouse, offers several twists on Orwell’s original while managing to keep the indelibly chilling storyline intact, making it as much ‘their’ 1984 as it ever was his. Those who enjoy the vicarious thrills of reality TV shows and ever-present social media might well watch it and shiver, knowingly. The production initially appears to be as much an abstract fantasia on Orwell’s novel as it is an adaptation. Opening with a group of apparent strangers seeming to discuss ‘Newspeak’, at a safe distance removed from the events it describes, the focus gradually comes onto Mark Arends’s anguished (and surprisingly young) Winston Smith, whose small acts of defiance against the omnipresent Big Brother are aided by his lover Julia (Asha Banks) and apparently helped by the fatherly traitor O’Brien (Tim Dutton). However, as anyone who knows the book will remember, all roads lead to Room 101, and the unimaginable horrors that lie within. Played straight through at about an hour and three quarters, Icke and Macmillan never allow things to become flat, even as some of the digressions and political allegories feel either overstated or somewhat obscure. In an age where the likes of Edward Snowden are either praised or castigated for their actions in standing up to intelligence services routinely described as ‘Orwellian’, it’s certainly a story that speaks to our times, 30 years after it was initially set and 65 years after its first publication. I missed some of the imagery of the book, such as O’Brien’s prophetic description of things to come – ‘if you want a picture of the future, imagine a boot stamping on a human face – forever’, but this is clearly inevitable in an adaptation of this sort. The only really jarring nod to contemporary sensibilities is that Orwell’s famous phrase ‘If there is hope, it lies in the proles’ has been bowdlerised to ‘If there is hope, it lies in these people.’ ‘Prole’, clearly, is the most deeply non-U of words in 2014. Performances are all strong, although this isn’t really a showcase for actors. I especially enjoyed Tim Dutton as the most fatherly and considerate of Party operatives, who maintains the air of a stern but fair schoolmaster throughout. The use of video and at least one spectacular set change keeps the visual interest strong, and the clever use of repetition and timeshifts makes this feel a good deal fresher than a more literal adaptation of the novel would be. While this certainly doesn’t count as a fun night out, it’s a gripping and intelligent fantasia on the themes and issues that have never gone away since Orwell first headed up to the isolation of Jura to meditate upon man’s inhumanity to man and write the book that seems to define the relationship between the individual and the state better than any other. 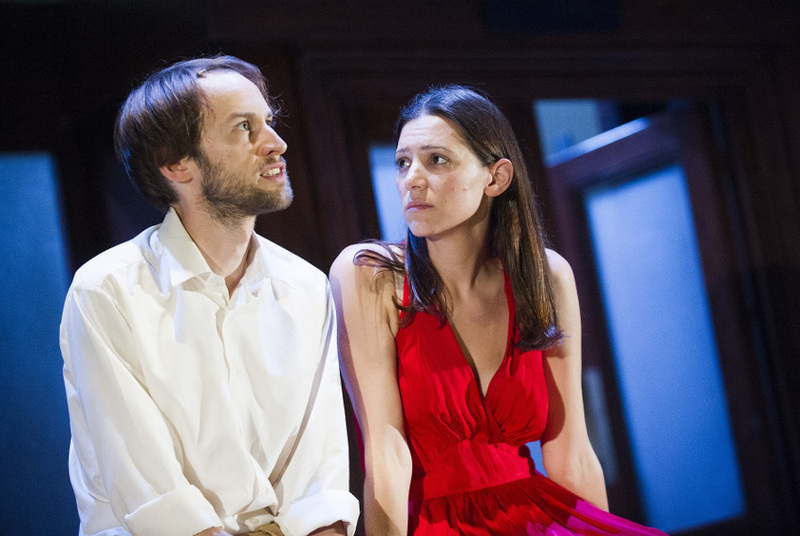 1984 at the Almeida Theatre, Almeida Street, London, N1 1TA, until Saturday 29 March 2014. For more information visit the website.